there is a problem with my conditional logics. Since yesterday, the show-hide Field option doesnt work in the right way as it worked a few day ago with the same conditions. There also a problem so that i cant change the logics to change something. Can you fix that problem? I can reproduce the problem here. You cannot edit your conditions right? Also the "+ New Condition" button appears, but it doesnt do anything. yes, thats the problem! Besides there ist the problem, that the conditional logics doesn't work in the formular in the right way. I think that the "IF Mitglied des Ski-Club Tanus e.V IS NOT EQUAL TO" condition doesn't work in the right way. I have submitted this error as a bug. The development team will provide feedback via this thread. 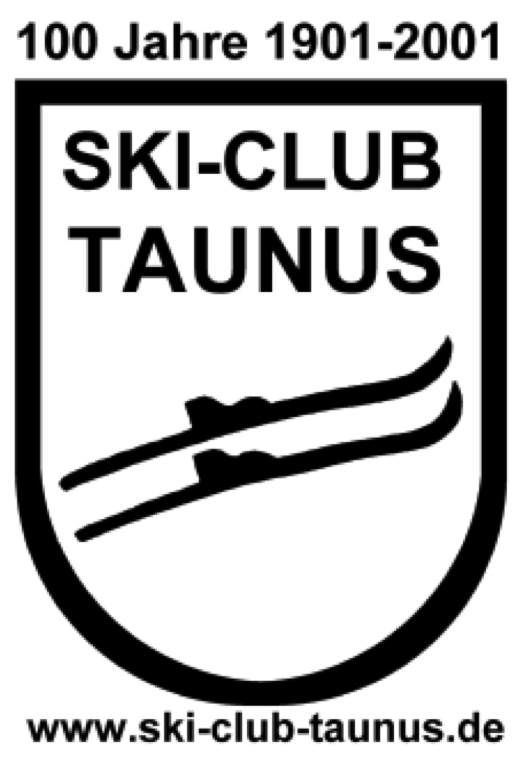 I deleted the "IF Mitglied des Ski-Club Tanus e.V" field. And then the conditions work again. 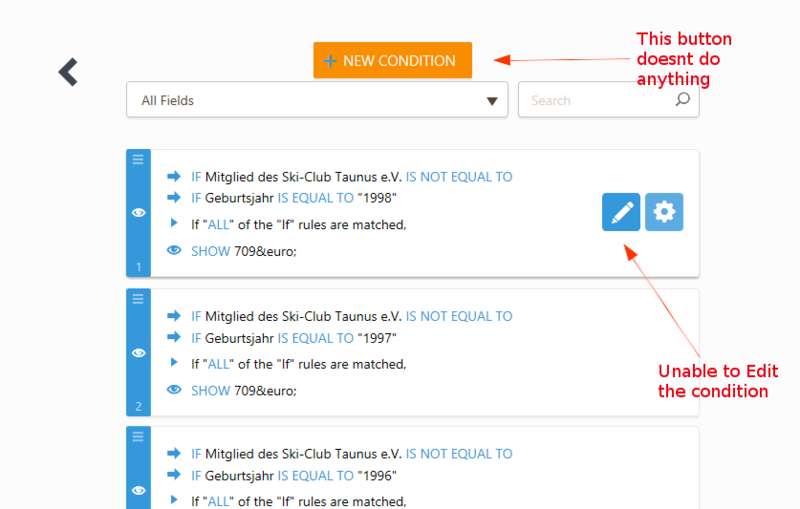 Ok, but the "IF Mitglied des Ski-Club Tanus e.V" field is very important for my formular. I hope there will be a solution by the development team. I have found a solution for you. Instead of having all those conditions, we can use a Paypal integration field. You will see this approach is much easier. And credit card payments are also possible this way. You can have a look and if you like it, then clone it. And then you can modify a copy as you like. The conditions wizard had issues with your checkbox having true as its value. We have fixed the wizard, so you should be able to use it from here on out.